Please apply through our online application system. When applying online, you will be asked to enter your name and email to create an account. While completing your application, you will be asked to supply both personal and academic information on the application form and have the ability to save and complete your work at a later date. If you find you do now have all the information you need to complete the application, you will be able to return to finish the application at a later date after you have created an account. 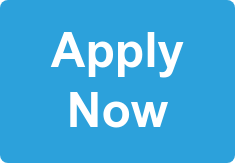 In addition to the application form, applicants to the graduate and doctoral programs are required to submit materials that verify and document their educational and professional histories. Please see the list of application materials required for each program below. Completed applications are evaluated by the Director of Admissions and the Admissions Committee. After this initial evaluation, applicants may be invited to conduct an admissions interview. Please Note: AOMA conducts admissions on a continuous, or rolling, basis. The amount of time required to process an individual application may vary depending upon how quickly all of the required application materials are submitted. Applicants are encouraged to apply well in advance of published deadlines. 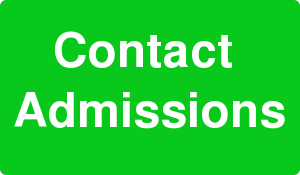 The admissions staff works to provide timely notification to applicants and acceptance or rejection is typically communicated within 2 weeks of the admissions interview date. The Director of Admissions contacts each candidate by email and direct mail to communicate the outcome of their application. Deposits are due within 2 weeks of acceptance. Two letters of recommendation sent directly to AOMA from professionals, instructors, and/or employers who know the applicant and the applicant’s skills and ability to perform master’s-level studies. Letters must be signed by the authors. Letters may be submitted via AOMA’s electronic submission system bearing the electronic signature of the author (see online application form for details) or submitted by mail or fax. If faxed, letters should be printed on letterhead. AOMA does not accept letters of recommendation submitted by direct email, photocopies, or unsigned letters. There is a nonrefundable application fee of $75. New students may apply for the Fall, Winter, or Summer terms. Transfer students may apply for the Fall, Winter, Summer, or Spring terms. Admissions are conducted on a continuous, or rolling, basis and applicants are encouraged to apply well in advance of published deadlines. All students must attend new student orientation on the indicated dates preceding the first day of instruction. Please see the Academic Calendar for important dates (https://aoma.edu/my-aoma). 1. Demonstrate ability to write professionally and scholarly by submitting an academically written paper. Guidelines and grading rubric are available upon request and contained in the Student Manual 2016-2017. 10. Demonstrate ability to write professionally and scholarly by submitting an academically written paper. Guidelines and grading rubric are available upon request and contained in the 2017-18 Student Manual. AOMA is currently accepting applications for the MAcOM-DAcOM program and DAcOM Bridge (Completion Track). Applicants are encouraged to apply well in advance of the priority application deadline. 2. Official transcripts from all undergraduate and graduate institutions attended sent directly from those institutions to the AOMA Admissions Office. 4. Two letters of recommendation from instructors, employers, and/or collaborators who know the applicant and the applicant’s skills and ability to perform doctoral-level studies. Letters must be signed by their authors. Letters may be submitted via AOMA’s electronic submission system bearing the electronic signature of the author (see online application form for details) or submitted by mail or fax bearing the signature of the letter writer. If faxed, letters should be printed on letterhead. 6. Demonstrate ability to write professionally and scholarly by submitting an academically written paper. Guidelines and grading rubric are available upon request and contained in the 2017-18 Student Manual. Download a Checklist of Application Materials. AOMA is currently accepting applications for the DAOM program. Applicants are encouraged to apply well in advance of the priority application deadline. New students may apply for the Summer or Winter terms.